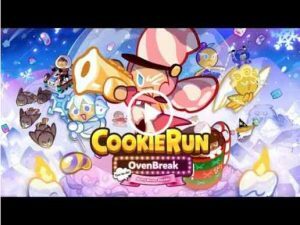 Cookie Run OvenBreak : Bake no prisoners! Jump and Slide to eat Jellies and avoid obstacles! Collect over 120 Cookies & Pets! With a new Cookie & Pet updated every month! Upgrade Cookies, Pets, and Treasures to achieve a higher score! New exciting events with awesome rewards every month! WRITE_EXTERNAL_STORAGE, READ_EXTERNAL_STORAGE : Will only be used to save and share in-game screenshots. I just noticed something. When I try to avoid obstacles from upper place, I try to hold the slide button, but the game treat it like I just tap and release, when I tried to avoided it and take damages. when I’m just messing with it, I can hold it longer bit before the cookie stand back without me release the slide button. Can you fix it, thanks for reading. i love the game so much! i used to play this back then years ago, when i still use my LINE acc to log in. but now i think it differs a little, because we can no longer use our LINE acc. but that’s not a problem. i love how the characters are very cute, the background music and sound effects as well. it’s just such a very cute game. but i really wish we can buy the cookie that we want, by choosing them and not by a lucky box, randomly. this is honestly the only game I have that I play daily. constant updates and events with plenty of opportunities for F2P players. cute cookies for a fun, endless runner 🙂 Update: I just want to mention how great devsisters are. They refunded me an accidental purchase without question while Google play did not. They are also very friendly in the forum and constantly crank out new updates while listening to what the players ask for! I loved this game way more than I thought I would. The cookies each have their own play style, which I enjoy, and they’re all incredibly adorable. The game also has in-game purchases, but you can unlock everything without paying afaik. The currency in the game is pretty easy to collect too, so there’s no need to wait weeks just to get a few measly gems or coins. The game and challenge progression is also really smooth imo. This is one of the few games I’d consider actually spending money on. I love it! The characters are diverse, the gameplay and zones are mesmerizing and the scores you can earn are satisfying! I have recommended this game to many friends and I still do! if you’re reading this, be sure to download it! This game is a lot of fun! I play it daily and it’s easy to collect fun items! Everytime I get rid of a game is because it gets so hard I can’t play but this game is different! Challenging but I can enjoy and get cute cookies! Thanks for enjoyable game! It’s so good I get sad when you guys have a maintenance break!! Definitely a great game to install!! !